I’ve really been loving bottle brush Christmas trees lately. 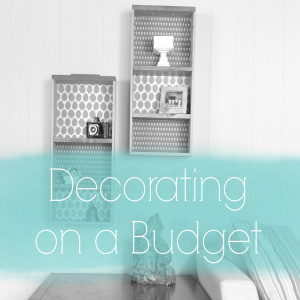 I think the vintage nostalgic look is just so charming, and now you can find them everywhere, and for a pretty inexpensive price! I always associated these trees with Christmas village scenes, scattered around the houses and fake snow. 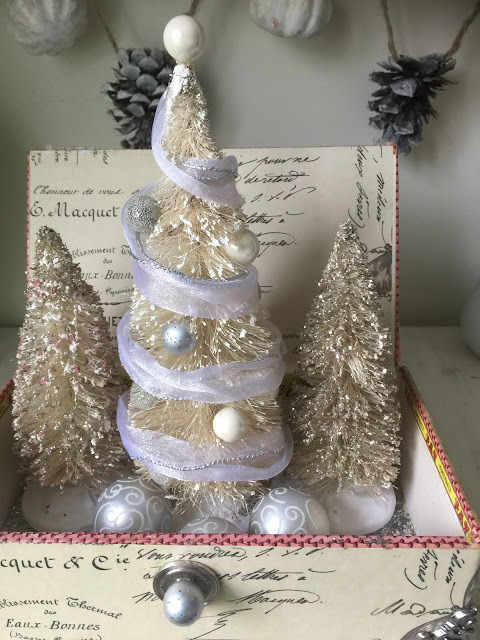 For awhile, I actually thought they looked pretty cheap when I would see them packaged up in the store, but now I’ve figured out that there are so versatile uses for these trees, and when used in creative ways, they look awesome! 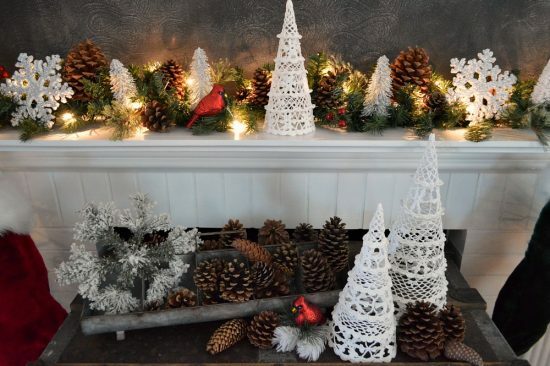 You all know that I love everything vintage, so I found a way to use some store bought trees and gave them a vintage feel. 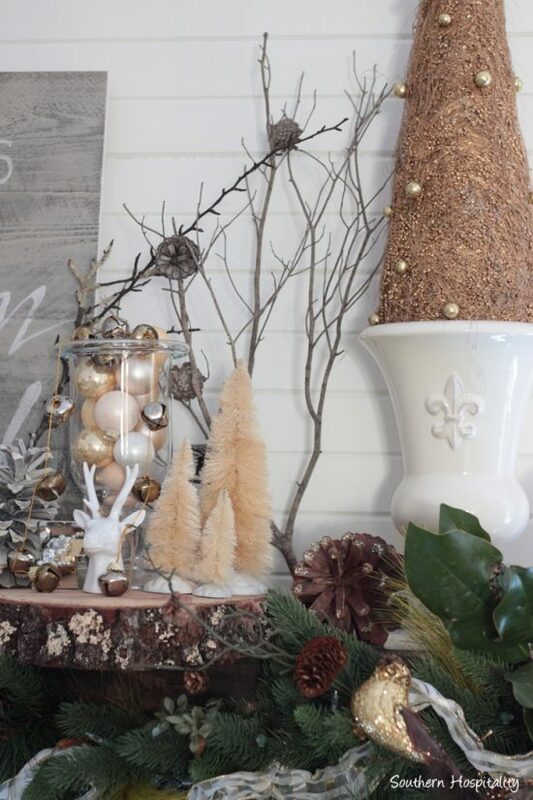 I also rounded up 10 other creative ways to use bottle brush trees in your Christmas decor. If you see any of these trees on clearance after Christmas, snag them up for next year!! 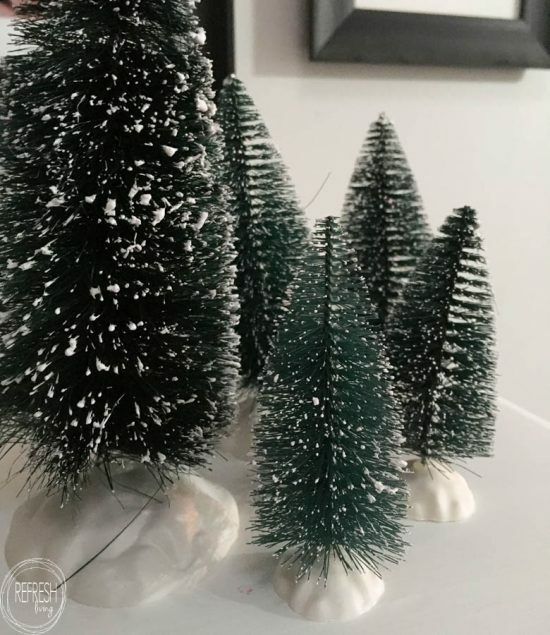 I bought a pack of 10 trees, and I was not a fan of the plastic, fake snow base that they sat on. 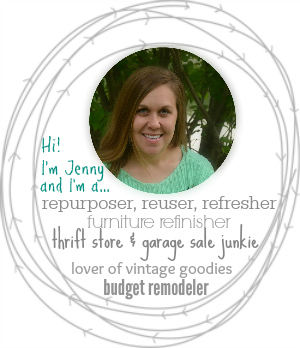 I decided to remove that part, and put the trees in vintage door knobs instead! 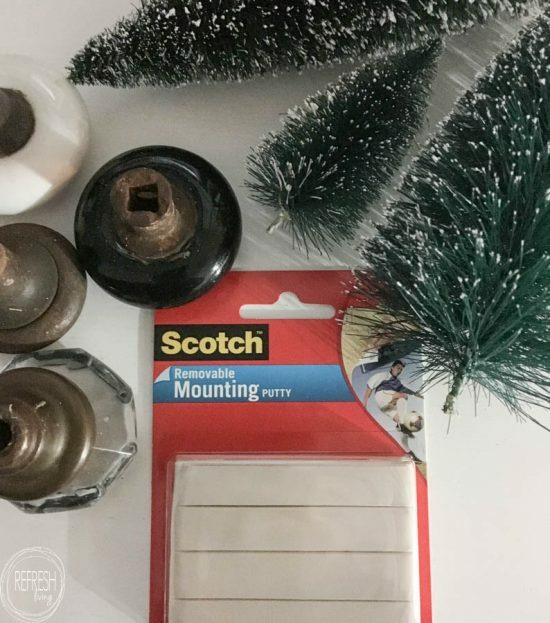 Because I plan to use these door knobs in other ways throughout the year, I found a temporary way to attach the trees to the inside of the knobs – sticky tack! We have enough of this laying around since my husband and I are both teachers, but you can also find it at craft or office stores. I also starting thinking that some of your kids’ playdoh or silly putty would probably also work just fine! If you don’t have vintage door knobs, you could also use new cabinet pulls like I did for the small tree. 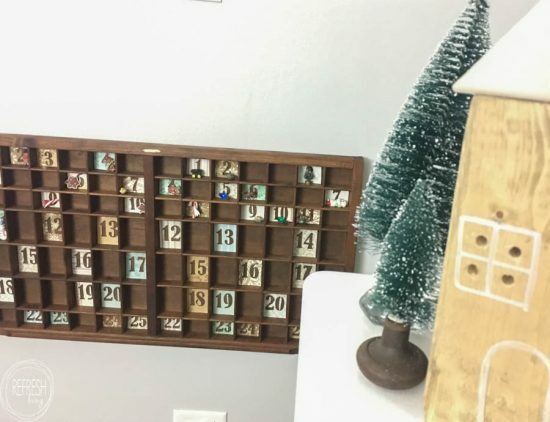 Hobby Lobby always has so many fun drawer pulls and knobs; you could find plenty of awesome options for your trees there, too! 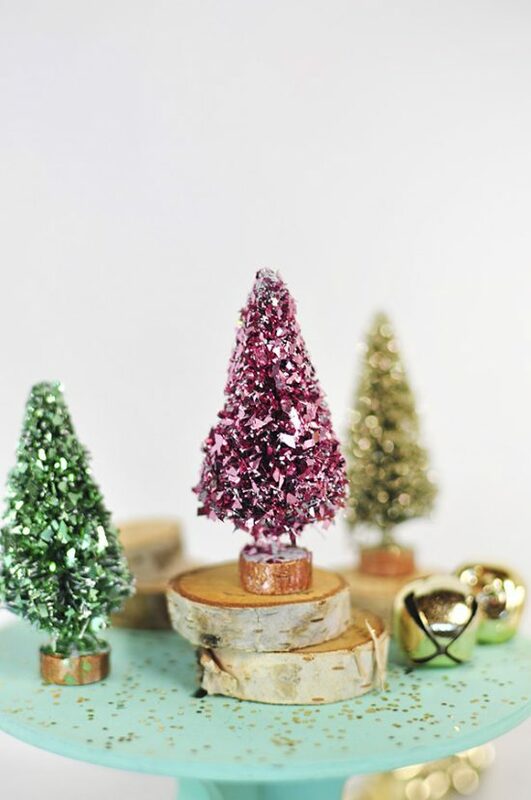 So that’s one way you can use these cute little trees in your Christmas decor, but now check out all these other creative ways to incorporate them into your decorations. 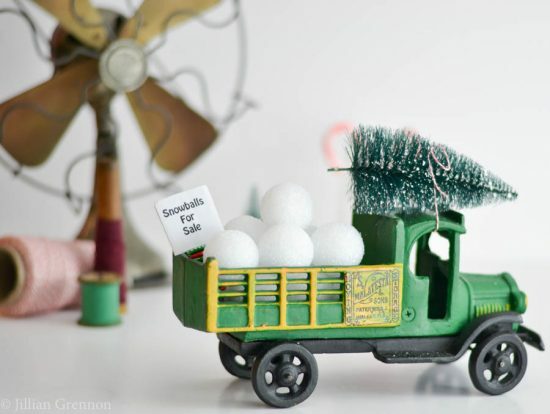 Because they come in so many different sizes (including super miniature), they can be used in little Christmas scenes. Little House of Four took a cheese cloche from the thrift store and made it into the perfect Christmas scene. 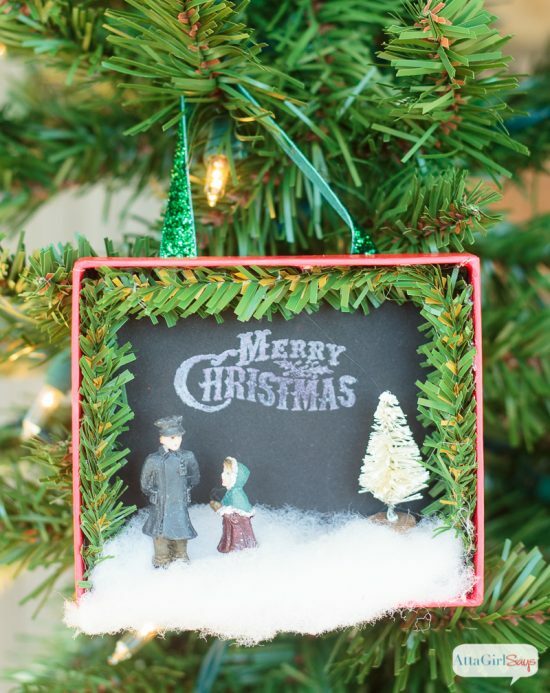 Atta Girl Says used some tiny trees in these adorable Christmas scene ornaments. 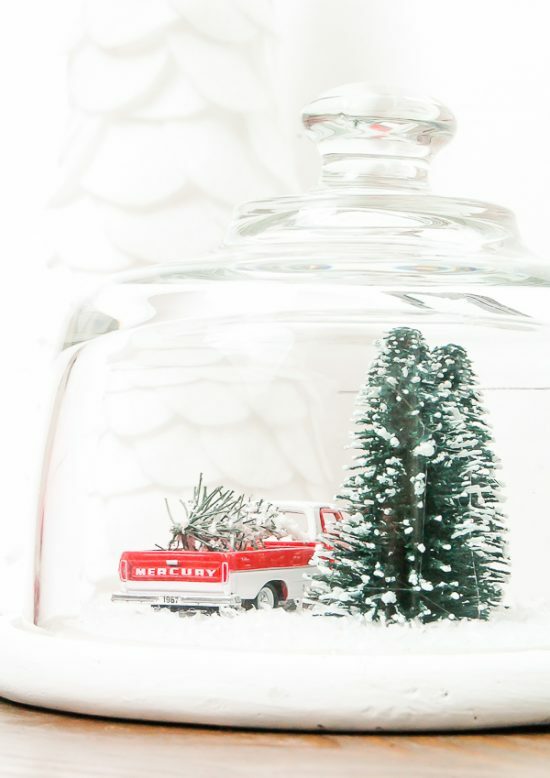 If you can get your hands on a vintage truck like I Am A Homemaker did, you need to tie a tree on top of it! Why didn’t I think of this? 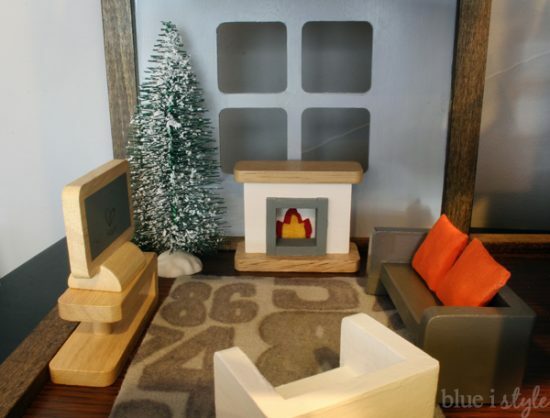 Blue i Style adds one to her kids’ dollhouse every year! 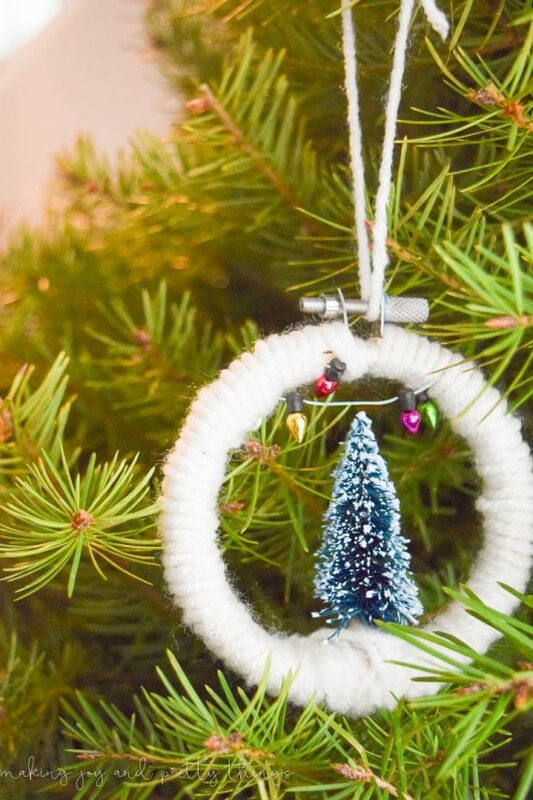 These DIY ornaments created by Making Joy and Pretty Things use little trees and embroidery hoops! Because they give such a classic look, they can be added to so many areas in your home! 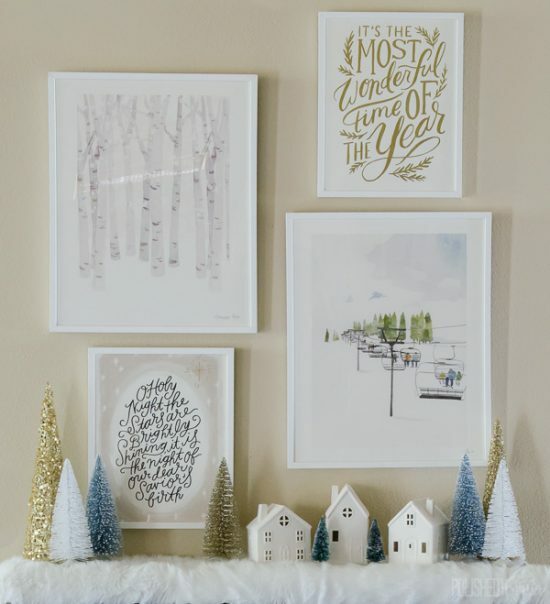 Polished Habitat created a simple, but beautiful, scene with trees, houses, and wall art. Southern Hospitality grouped them together, along with a couple of other Christmas items, as a part of her mantel decorations. If you have garland anywhere, you could easily set the trees in the garland like Fox Hollow Cottage did. I usually only see bottle brush trees in green or white, but you can easily change them up to fit your style! Delineate Your Dwelling added leaf glitter to her trees in many different colors. 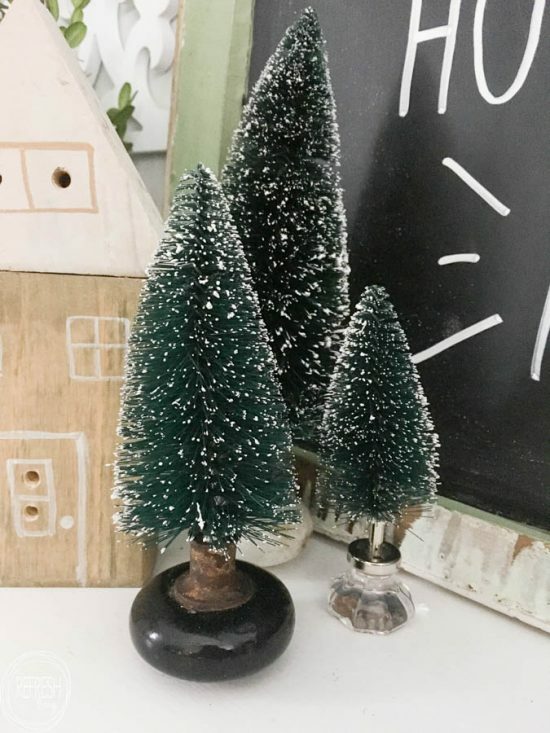 Our Crafty Mom described how to bleach the green trees, and then how to dye them to any color you’d like! 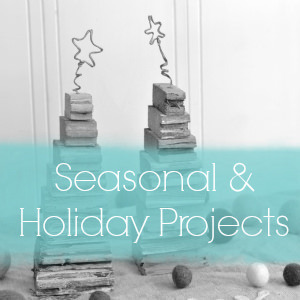 As I was putting together this post, I realized I’ve used them in a few other places in my Christmas decor, too! 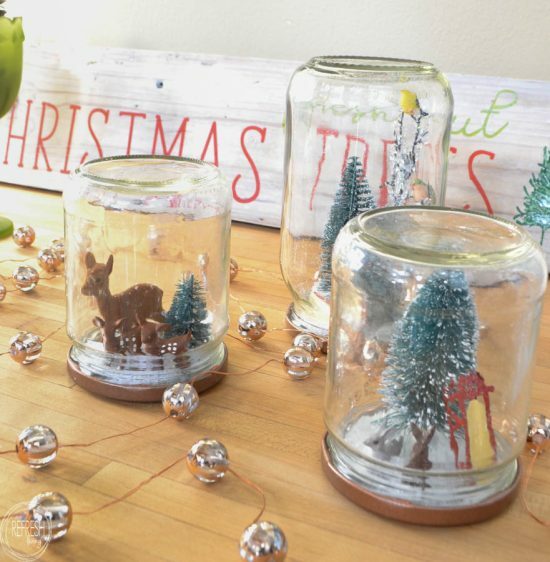 I made little winter scenes in old glass jars with some bottle brush trees. 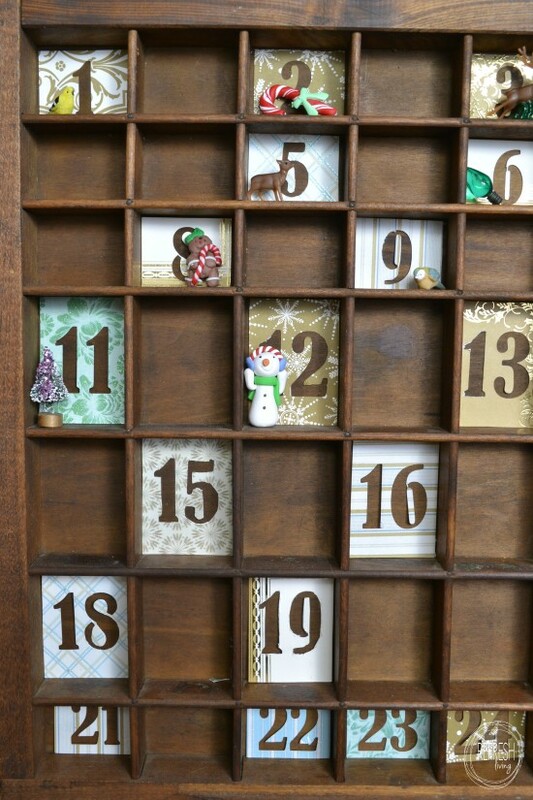 I also used some tiny trees as the daily markers in my girls’ printer’s tray advent calendar. 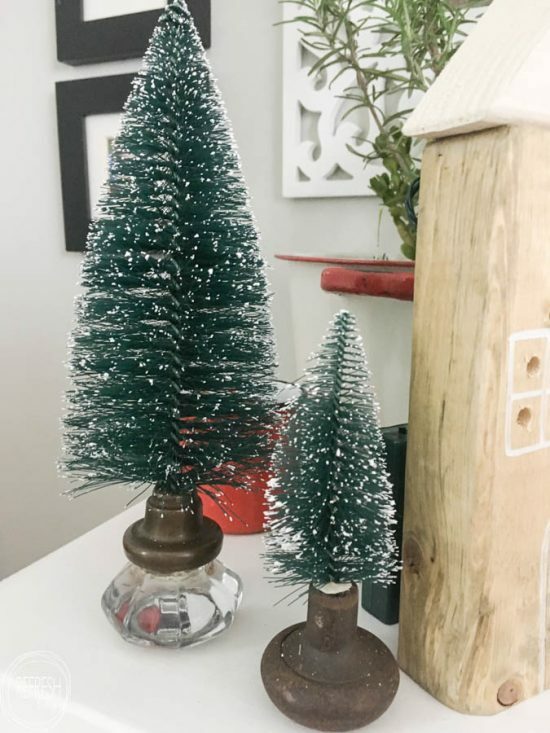 So many cute ideas for these brush Christmas Trees. Love it ! 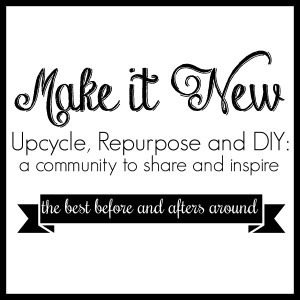 Thanks for linking up with us at Family Joy Blog Link Up Party. Merry Christmas! I love bottle brushes. I have a ton from my village scenes. Thanks for the tips and thanks for sharing on Sunday’s Best. What is the best way to store bottle brush trees?